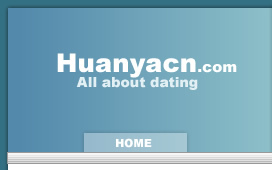 Online dating or Internet Dating is very popular these days. But while dating online has the advantages in its own, over the period of time this has been misused and is corrupted by many disadvantages. Online Dating is fun and convenient but still one has to be very careful while dating with someone they hardly know. Here are some tips following which may help you in safe and sound online dating. Start slow. While dating over the net, watch out for someone who seems too good to be true. Begin by first communicating solely via email. Be on the lookout for odd behaviour or inconsistencies. "Listen" to your correspondent's words. The person at the other end may not be who or what he/she says. Trust your instincts. If anything makes you uncomfortable, walk away for your own safety and protection. Guard your anonymity. Never include your last name, real email address, personal Web site URL, home address, phone number, place of work, or any other identifying information in your profile or initial emails you exchange with other members. Make sure your email signature file is turned off, or does not include identifying information, when corresponding with a member via your own email. Stop communicating with anyone who pressures you for this information or attempts in any way to trick you into revealing it. Take all the time you need to become comfortable with someone before revealing any personal contact information. Ask questions and make sure you are satisfied with the answers. Trust your instincts, move cautiously and be selective. Exercise caution and common sense. Careful, well-thought decisions generally lead to better results in dating, and this is certainly true with online dating too. Guard against trusting the untrustworthy. Any suitor must earn your trust gradually, through consistently honorable, forthright behaviour. Your job is to take all the time you need to test for a trustworthy person, and pay careful attention along the way. Take a relatively conservative approach to trusting anyone you meet online. If you think someone is lying, it is likely that they are, so act accordingly. Move on to someone you can eventually trust. Conduct yourself and your romances in a responsible manner. Don't fall in love at the click of a mouse. Don't become prematurely intimate with someone, even if that intimacy only occurs online. Request a photo. A photo will give you a good idea of the person's appearance, which may prove helpful in achieving a gut feeling about your correspondent. In fact, it's best to view several images of this person in a variety of settings: casual, formal, indoor, outdoors. If he or she continuously comes up with an excuse, it may be because that person has something to hide. Getting a photo scanned is not expensive, so there is little excuse for not doing it. Talk via telephone. A phone call can reveal much about a person's communication and social skills. It is worth the cost of the call to protect your security. But do not give out your personal phone number to a stranger. Try a cell phone number instead for added security. Or make arrangements to call from a pay phone. Only when you feel completely comfortable should you furnish your phone number. Meet when you are ready. The beauty of meeting and relating online is that you can gradually collect information and then make a choice about pursuing the relationship in the real world. You are never obligated to meet anyone, regardless of your level of online intimacy. And even if you do decide to arrange a meeting, you always have the right to change your mind. It's possible that your decision to keep the relationship at the anonymous level is based on a hunch that you can't logically explain. Trust yourself. Go with your gut instincts, even when they can't be logically explained. Never meet someone who argues against your instincts, finds logical flaws with your feelings or pressures you in any way. Refuses to speak to you over the phone after establishing ongoing, online intimacy. Appears in person to be significantly different from his or her online persona. Never introduces you to friends, professional associates or family members. Select the Safest Possible Environment. When you make the choice to meet offline, always tell someone where you are going and when you will return. Leave your date's name and telephone number with that person. Never arrange for your date to pick you up at home. Provide your own transportation, meet in a public place at a time when many people are present, and when the date is over, leave on your own as well. A familiar restaurant or coffee shop, at a time when a lot of other people will be present is often a fine choice. Avoid hikes, bike rides or drives in remote areas for the first few dates. If you decide to move to another location, take your own car. When the timing is appropriate, thank your date for getting together and say goodbye. Take Extra Caution Outside Your Area. If you are flying in from another area, arrange for your own car and a hotel room. Do not disclose the name of your hotel and never allow your date to make the arrangements for you. Rent a car at the airport and drive directly to your hotel. Call your date from the hotel or meet at the location you have already agreed to. If the location seems inappropriate or unsafe, go back to your hotel. Try to contact your date at that location, or leave a message on a home machine. Always make sure a friend or family member knows your plans and has your contact information. And if possible, carry a cell phone at all times. Get yourself out of a jam. Never do anything you feel unsure about. If you are in any way afraid of your date, use your best judgment to diffuse the situation and get out of there. Excuse yourself long enough to call a friend for advice, ask someone else on the scene for help, or slip out of the back door and drive away. If you feel you are in danger call the police. It's always better to be safe than sorry. Never worry or feel embarrassed about your behaviour. Your safety is much more important than one person's opinion of you. There are lots of online services which give you a safe and secure environment to dating online. While liars, cheaters and impostors certainly play their craft on the Web, you'll also find them in nightclubs, among the membership ranks of off-line dating services, at cocktail parties, and occasionally sitting across from you at your local café. Regardless of where, or how, you meet someone, dating is never a risk-free activity. A little caution will reduce your risk in these matters of the heart.